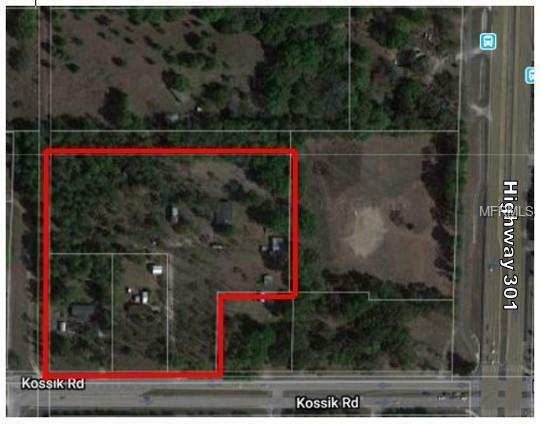 Great potential development/commercial opportunity in prime location in Zephyrhills. Three parcels being sold together. PID#s 2725210030127000030, 2725210030114000000 and 2725210030127000010. A total of 8.55 acres. A total of 448 of road frontage on Kossik Road, plans are underway for connection with Overpass Road in Wesley Chapel. 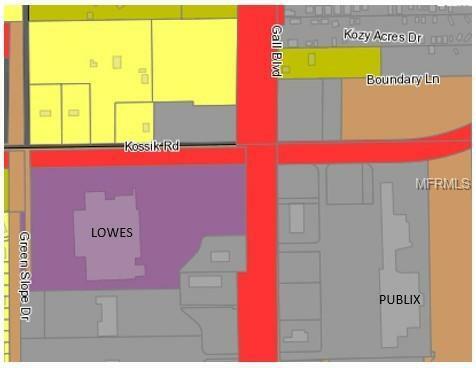 Possible annexation in the City of Zephyrhills. 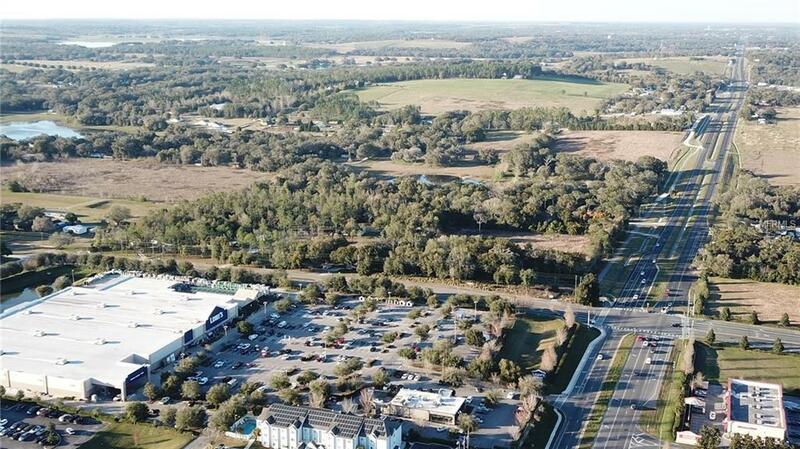 Area growth includes nearby Lowes and Publix that recently opened. Area development currently under way includes Zephyr Lakes Subdivision, which will consist of 500+ homes, a large mini-storage facility and Chick-Fil-A! This property is also located nearby to area schools, hospitals and retail along US Hwy 301 with flexible zoning appropriate for general commercial/retail/office and multifamily purposes. 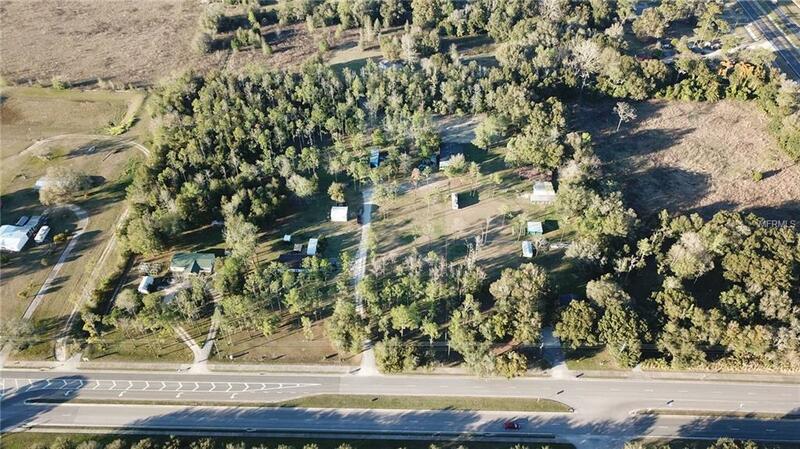 See attached aerial photos for more details. All zoning and planning to be verified with County and City.